Google's oft-overlooked living-room platform could become a strategic cornerstone. The situation for Android TV looked grim 15 months ago. Google had just released a new version of its Chromecast streaming dongle, which relies on a phone, tablet, or laptop to control what’s playing on the TV. At the time, Mario Queiroz, Google’s vice president of product management, suggested that this mode of viewing was key to the future of television. Meanwhile, Android TV, Google’s other operating system for televisions and set-top boxes, seemed lost. 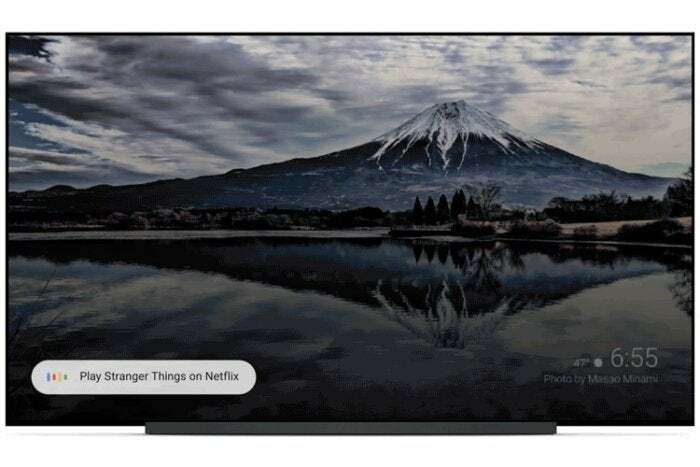 Google apps and features that had shipped on other platforms were no-shows on Android TV, and the company didn’t even bother announcing the retail launch of Xiaomi’s Mi Box, last year’s only new Android TV streaming box. While Android TV did make its way onto some smart TVs and non-U.S. cable boxes in 2016, the platform felt like an afterthought. But at the start of 2017, Android TV is on the brink of revitalization. New streaming boxes such as the Nvidia Shield TV and AirTV are innovating on the hardware side, while the upcoming arrival of Google Assistant will add powerful new voice controls to the entire platform, making Android TV a key piece of Google’s overall strategy. Compared to other TV platforms, such as Roku, Amazon Fire TV, and Apple TV, the unique thing about Android TV is that allows outside companies to create new kinds of streaming boxes. 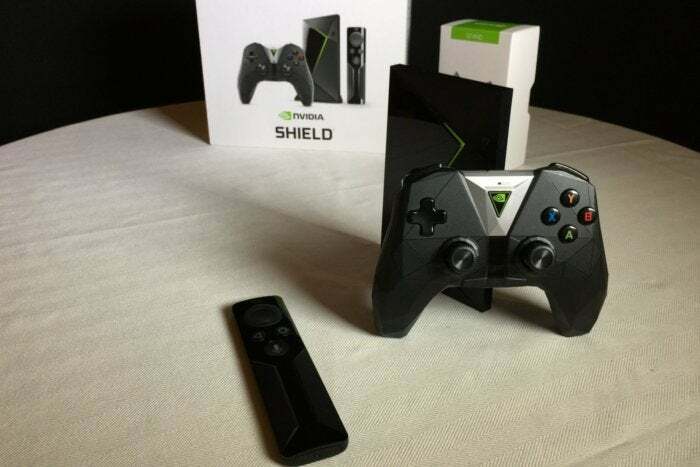 The most notable example is the Nvidia Shield TV, a $200 set-top box with an emphasis on gaming. The Shield can stream high-end games from a networked PC or from Nvidia’s cloud gaming service, GeForce Now. It also supports a library of downloadable Android games, some of which can only run on Nvidia’s powerful Tegra X1 chip. Beyond just gaming, the Shield can function as a Plex media server with DVR support, and it’s the only Android TV box to support Amazon Video. A second-generation model just started shipping this week. AirTV, a new subsidiary of Dish Network, is also tapping Android TV to bridge the gap between over-the-air and streaming video. When connected to a USB antenna tuner, AirTV Player will combine free broadcast channels and streaming cable channels from Sling TV into a unified channel guide. AirTV’s remote control also borrows some concepts from the cable box, with dedicated channel recall and Sling guide buttons. DVR support is supposedly on the way as well. 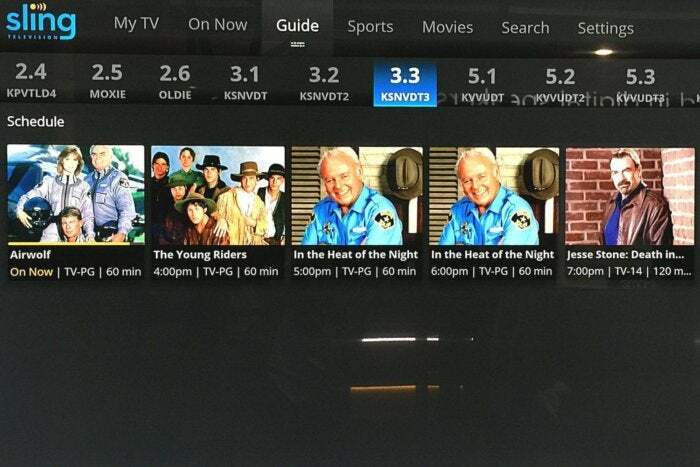 AirTV’s blend of over-the-air and streaming cable channels is only possible on Android TV. Speaking of DVR, Tablo is now working on a DVR app for Android TV devices, starting with the Nvidia Shield. When it launches in the second quarter, the Tablo Droid app will let users plug in a USB tuner and record over-the-air channels to internal storage or an external hard drive, effectively turning Android TV into a do-it-yourself DVR platform. At CES in early January, Snakebyte even showed off a “speculative prototype” of a Disney-centric Android TV box. It’s unclear if this device will ever ship, but it’s another example of how the platform can be bent to the will of device makers. Whether it was part of Google’s original vision or not, Android TV is starting to enable a level of experimentation that’s not possible on other streaming platforms. That’s not to say Google isn’t at all interested in Android TV. The company has made incremental improvements over the last year, with the latest Android 7.0 Nougat update adding picture-in-picture and native USB tuner support. A couple weeks ago at CES, Google announced that its virtual assistant (simply named Google Assistant) is headed to Android TV devices in the coming months. The Nvidia Shield will even support hands-free voice commands for Assistant through its game controller. Compared to Android TV’s existing search function, Google Assistant is a major improvement. It supports direct launching of videos with commands like “Play Stranger Things on Netflix,” and follow-up searches such as “Find James Bond movies…. Only the recent ones.” It can also fetch information from Google’s vast internet search engine and from Google services such as Calendar and Keep. And if you have smart home devices connected through SmartThings, IFTTT, and Nest, Assistant lets you control them with voice commands. Essentially, Assistant is Google’s answer to Amazon Alexa, which already appears on Fire TV devices. Launching Netflix videos by voice is one of Google Assistant’s many talents. Of course, Assistant isn’t only available on Android TV—it also appears in the Allo app on Android phones, and is built into the Google Home connected speaker—but it’s telling that Google’s living-room platform is the next stop, ahead of smartwatches, connected cars, and other devices. My guess is that Google has realized the living room is a natural place to put its virtual assistant, which the company sees as essential to its future. I also suspect that Google’s enthusiasm for Chromecast—at least as a standalone product—has started to fade. Chromecast was a great little device back in 2013, when other cheap media streamers were too slow to recommend, and the underlying second-screen technology is still a functional marvel. But as the streaming device market has become more sophisticated, Chromecast no longer seems sufficient as the only way to control your television. At the same time, Android TV is coming into its own. App support has picked up significantly over the past few years, while the hardware is becoming more diverse. And with Google Assistant, Android TV will become a major part of Google’s core business strategy. I’ve always felt that Android TV had great potential; perhaps this is the year it starts getting realized.